I was nominated for a blog award by two of my favorite people in the AG fandom, mcooper and randomtraci of Isn't She Dovely? 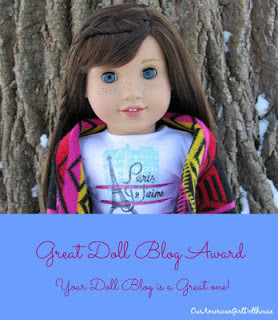 Nominate at least 5 others who you think has a great doll blog. I nominate Keiko and Company, Jinjia Mixed Goods, Sabine the Great, Faithful Friends Forever Be and The Interdimensional Crew. 1. What is your least favorite outfit that AG has ever released? I hate Felicity's red holiday dress with the fake jewels on front. It looks tacky and out of scale. But that red vinyl jumper from the JLY line is also revolting. Nonetheless, I do like the color red! 2. Which AG doll is your grail doll? I got Kanani! What more can I ask for? Well, I do keep looking at #4. And lately I have been drooling over #55. But I am trying to be happy with the lovely dolls that I already have! 3. Do any of your dolls have a common, shared personality trait? I don't think so? They do tend to be like me in some way, though. But it's different for each doll. 4. What's your favorite pet/companion? The only pet I own is Meatloaf, who is Laura Ingall's dog Jack, so I guess he wins! Lea's turtle and the Pomeranian puppy are pretty cool too. 5. What is your favorite piece of AG furniture? I love Addy's bed, because it goes well with lots of different quilts. It's very versatile! Most of the other beds have a specific color scheme. 1. What styles do your dolls prefer to wear? 2. Do your dolls have favorite colors to wear? 3. 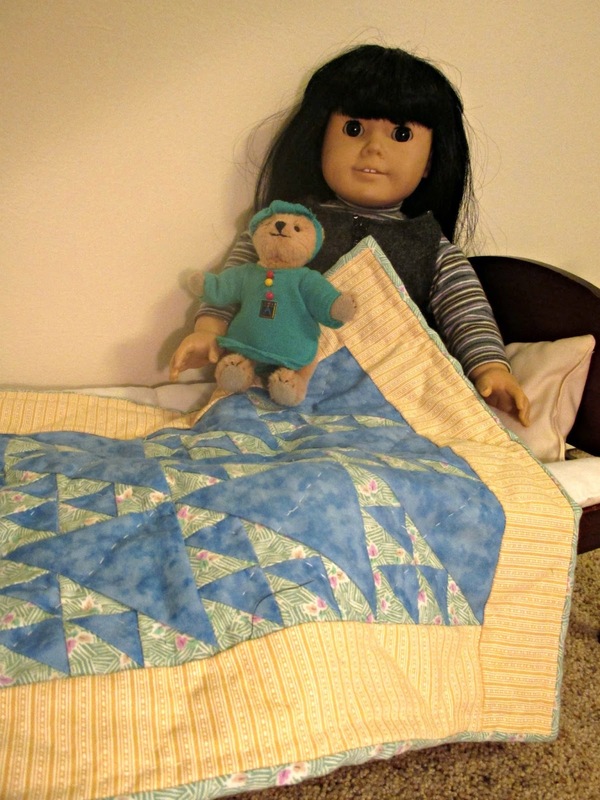 What is the most adventurous thing you have done with a doll? 4. What accessory would you love to have for your doll, whether already in existence or not? 5. 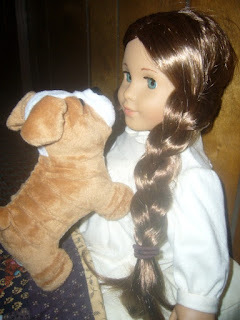 What is your favorite picture of your dolls? Thanks! I had a hard time coming up with 5 new questions, though. Interdimensional Crew has a blog? Did we sleep through this?! Yes, you are a terrible enabler, LOL. I love your 4 and 55.